RAVE To the DOTs of Montana, Wyoming and South Dakota for keeping their highways and bridges in proper repair, and to their sensational rest areas. We drove to visit the Badlands, Mount Rushmore and other wonderful places, and their states put the condition of our highways and rest stops to shame by comparison. RANT To people who think bike lanes benefit only cyclists. 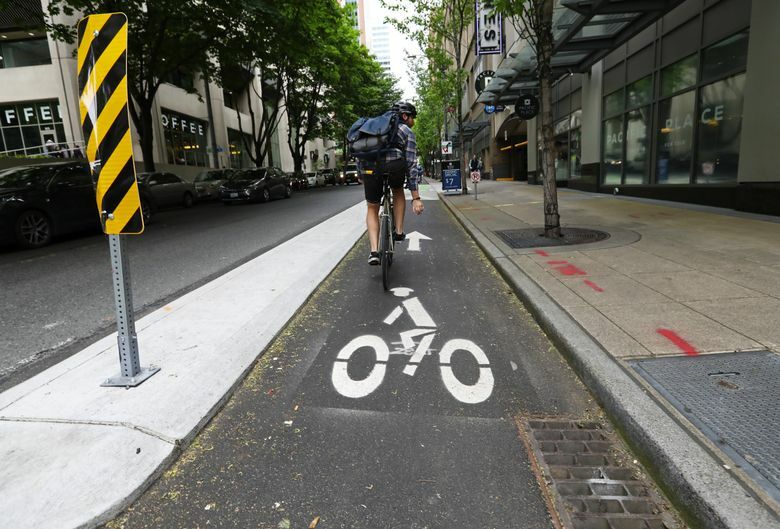 Bike riders reduce traffic congestion, pollution and use of fossil fuels. When someone rides a bike instead of driving a car everyone wins. RAVE AND RANT Rave to marijuana users who take it in sweets, tinctures and creams, saving their lungs and mine. Rant to the stench of marijuana smoke and people who smoke it in public. RANT AND RAVE Rant to the Vanpool driver going way too fast who swerved into the carpool lane directly in front of our bus. Rave to the bus driver who was skilled enough to avoid the disastrous collision that we narrowly missed due to the van driver’s recklessness. RAVE For two wonderful men the world recently lost, retired Archbishop Raymond Hunthausen and Sen. John McCain. Blessings to them. We need more like them! RAVE AND RANT Rave to the King County sheriff’s deputy who professionally relayed the complaints of a lakefront homeowner that our water skiing was too close to the shoreline. Rant to the complaining homeowner, who chose to live on a recreational lake. Our group of 55-year-old-plus skiers are keeping our dying sport alive when flat water is available. We’re extremely safety conscious and are enjoying the lake with only the sound of a boat engine. Come out on your dock, give us a wave and ride along with us to see the joy on our old faces, and it might change your rant to a rave! RANT To the restaurant server who delivered food to our table saying “Here ya go, sweetheart” and “Here ya go, darlin’.” He thought he was being nice, but we’re in our 70s and 80s; a retired physician, a biologist, two teachers, a nurse and a secretary. I flinched inwardly, but nothing was said. Maybe someday when he’s older he’ll consider being called “ladies” appropriate. RAVE To the Seattle police who were so courteous, respectful and efficient after I answered a knock on my door and an intoxicated man tried to push his way into my house. I was able to push him out and called 911. The dispatcher stayed on the line until three officers quickly arrived, put the man in handcuffs and removed him from my porch.